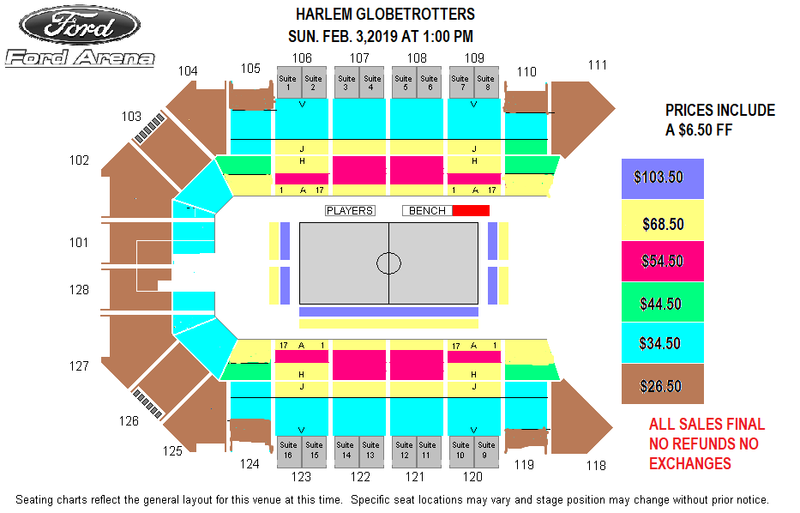 The Harlem Globetrotters return to Ford Park Sunday, February 3, 2019! Don’t miss your chance to see the crazy antics, amazing tricks, and fun loving entertainment of the Harlem Globetrotters live in action! Groups 10+ Save On Globie Seats! *Don't forget to ask how your school, team, choir, or group could be involved in the show! Deadline to place group orders is January 31. Tickets are on sale now and available for purchase at the Ford Park Box Office, at ticketmaster.com or charge by phone by calling 1.800.745.3000. Additional fees may apply.